CHINESE Foreign Minister Wang Yi called for deeper synergy of the Belt and Road Initiative and the Saudi Vision 2030 plan during a 9 July visit by Saudi officials to Beijing. Wang made the remarks at the third meeting of the political and diplomatic subcommittee which guides and coordinate bilateral cooperation. He co-hosted the meeting with Saudi Foreign Minister Adel bin Ahmed al-Jubeir, who said that the Saudi Vision 2030 was highly consistent with the Belt and Road Initiative. Connecting the initiative and the plan, China and Saudi Arabia can strengthen cooperation in industries including energy, mining, economy and trade, investment and tourism, and tripartite cooperation in Africa, Jubeir explained. While in Beijing Jubeir also attended the eighth ministerial meeting of China-Arab States Cooperation Forum. President Xi Jinping delivered the opening speech, saying that the Arab states were China’s natural partners in Belt and Road cooperation. China and the Arab states should stay focused on connectivity, the energy cooperation needs to be driven by both oil and gas and low-carbon energy, and financial cooperation must go in tandem with collaboration on new and high technology, Xi said. 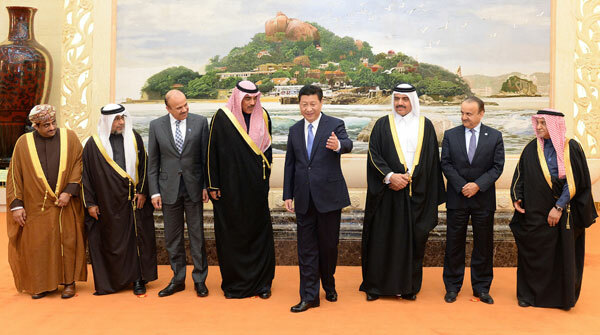 Xi announced that China will set up a China-Arab states bank consortium. He also said that China looks forward to the participation of Arab countries in the first China International Import Expo in Shanghai this November. Traditionally self sufficient oil producing countries such as Saudi Arabia have felt the impact of lower oil prices over the past few years, and are looking for more private sector, including foreign, investment. There is a privatisation programme underway, which includes airports. With the Saudi and other Arab economies in a transitional phase, there are many opportunities for China within the Belt & Road framework.